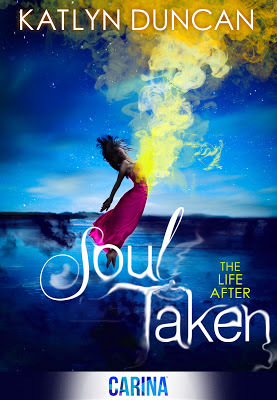 Today, I am super duper excited to be sharing with you the trailer reveal for Soul Taken by Katlyn Duncan! This looks like such a fun book! Watch the trailer and then scroll down to read the excerpt and enter to win in the giveaway! I like the filigree around the text during the trailer.